$8 advance, $10 day of show. All Ages. 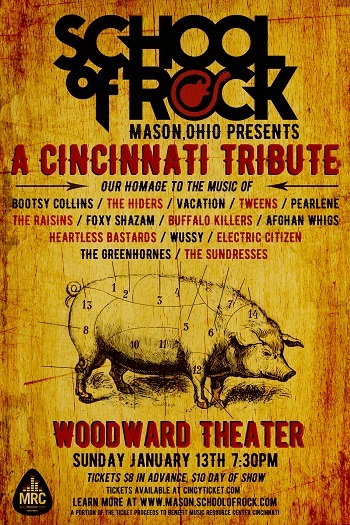 Ticket proceeds after venue costs will go to Music Resource Center - Cincinnati. The East Walnut Hills nonprofit organization provides a multifaceted teen program that uses recording and performing arts, as well as life skills mentoring to create a sense of empowerment & accomplishment in the urban community.